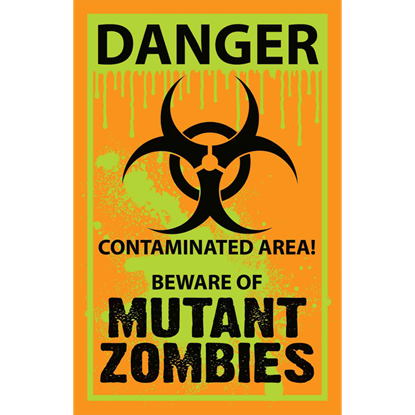 During the initial stages of a zombie outbreak, no-one will have time to put up signs of zombie infestation. But as the populace grows adjusted to the zombie menace, more and more signs like the ones found here in the Zombie Signs section of the Zombies Playground will gradually start to pop up. Why, you might ask? 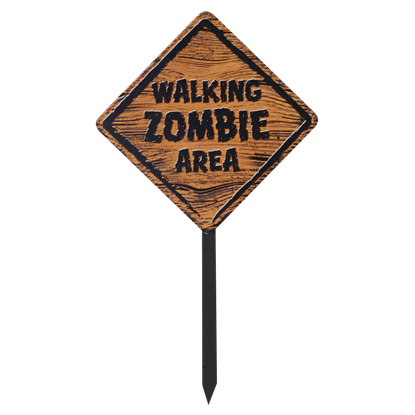 Because as humanity realizes that completely exterminating all zombies is a daunting, if not near-impossible task, they'll gradually begin to implement measures that warn others of the zombie presence. 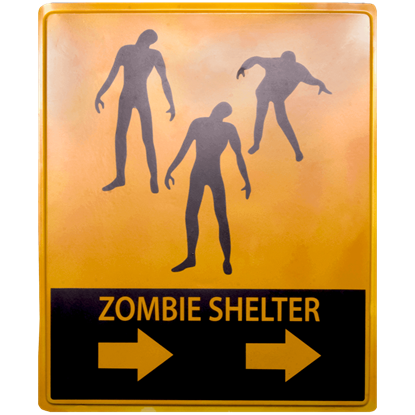 Of course, classic zombie warning signs aren't the only thing you'll find here. 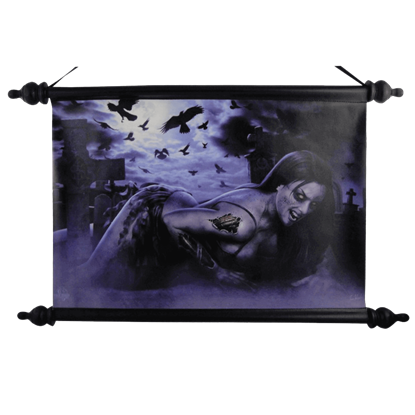 You'll also find a number of cleverly crafted signs that are perfect for inspiring dread and horror in the minds of the living, including eerie and sinister signs that are bound to send potent chills of dread cascading down the spines of those who read them. 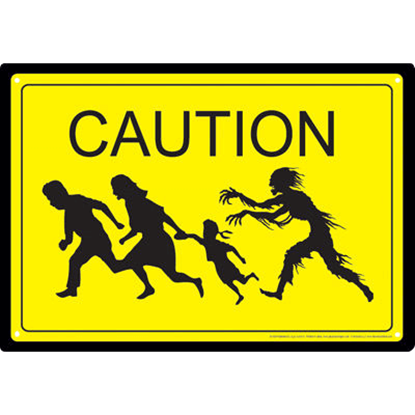 Of course, not all zombie signs are honest warnings or messages of horror. Well, most are serious, but some will provoke a novel smile, if only for the novel way that its honest message is delivered. Whether you're looking for a zombie sign to invoke terror or warn your fellow man (or just celebrate how awesome zombies and zombie survival is in general), then you've come to the right place, as this Zombie Signs Section of the Zombies Playground is rife with awesome zombie signs for anyone to hang up virtually anywhere on their property.